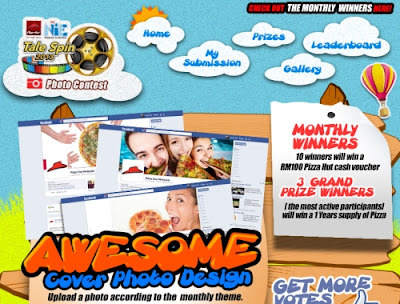 Upload your photo according to the monthly theme. In the event multiple participants submit the same photo, only the first participant's entry will be approved. Visit Pizza Hut Facebook apps for more details.